This is a trine or 1 – 5 relationship. This relation is considered to be perfect among all. There is nothing to be feared of in this relation as it is reliable and true. It will turn out to be an eternal and exceptional relationship. However, at times, dissonance and disappointment can be created due to ego. Leo is mature enough to handle the things. This is a square or 1 – 4 relationship. Arrogant Leo will not be able to get along with stubborn Taurus. This relation is not an eternal one. Both of them will not be able to find comfortable zone. They have considerable understanding and love, but they cannot get along together. This relation is 1 – 3, which is quite promising. Gaudy and conceited Leo enjoys relation with Gemini. It can turn out to be an honorable, reliable, balanced and elongated relation. This liaison can be an ultimate one. Life will move smoothly, even though, there can be quarrel at times. It can be thought of building this relation. One can have faith upon this association. Both of you are fervent, kind, arrogant and self-centered. Both of them will learn to adjust with each other, however, there will be conflict at times. This relation is predicted to be a long one. This relation is 1- 2. Your life will be completely tarnished if you get in this relation. It will be very difficult for receptive Virgo to move ahead with insensitive and bigheaded Leo. It is better to say no to preserve the harmony and serenity. This relation is 1 – 3. This relation is always considered to be permanent and pure. Misunderstanding can crop up at times but it can be sorted out easily. Emotional and social support will be provided by Leo to extremely enduring Libra. This is a square or 1- 4 relation. This relation is not suitable for wedding. Smooth going life will be interrupted by huge quarrel and abusing. They will not be able to comprehend each other. They will not be able to find enjoyment in each other’s company even if both of them are propitious for each other. There will be no happiness in this relation and it will end up in a bad condition. They both are not made for each other. There will be dissonance, disappointment and violence in this relation. One of you will have serious health issues. Take care. This is a contrary or 1 – 7 relation. However, there will be considerable physical attraction between the two. But, these two sigs cannot be in a relation for long. There is no real love or commitment in this relation and there is only infatuation. Both of you will find it difficult to cooperate and give up and may be willful. This relation is 1 – 8, which is considered to be the nastiest one and highly ill-fated. Both sentiments and life will be destroyed. 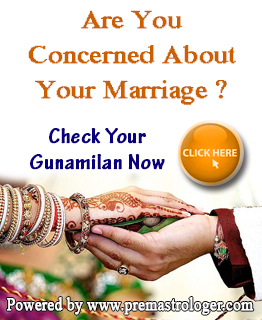 It may be fine for physical contentment and romance, but not for getting in a wedding. The two of you will not be able to move ahead together even though there is adequate amount of love. To retain silence and accord just say no. How Lucky are you? 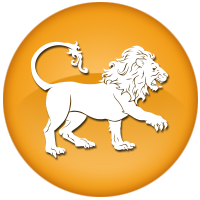 Check out Leo Lucky/Unlucky Horoscope Here..